Rebecca Flowers, a Certified Public Accountant, joined MAS Companies as Controller in July of 1996. 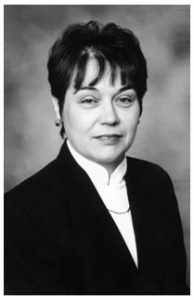 A graduate of The Ohio State University, she has been involved in the accounting field for over 25 years and is a member of the Ohio Society of CPAs. Prior to 1996, Ms. Flowers had been working with the MAS limited partnership entities for 15 years as the company’s outside CPA. Thus, she brings a long history of experience in dealing with partnership tax returns and related issues.